Sculpey Jewelry Findings are made from 70% zinc and 30% iron. Double Round Pendant — A blank pendant with two areas for complementary or contrasting designs. 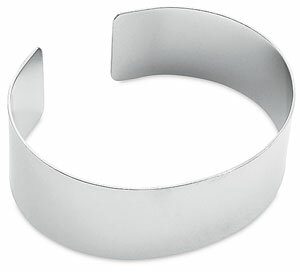 Cuff Bracelet — A reusable form for creating cuff bracelets. Square Ring — A trendy geometric shape for showcasing your creativity. Round Ring — Two concentric circles lend themselves to complementary or contrasting designs.